Top Placement wise Engineering College in Punjab, In the current era of the competitive world, youth is chasing for employment more than anything else in the world. Being an engineer, they are struggling for jobs and condition is getting poor. Hence now people are becoming smarter and they start their analysis from the very initial stages. After completion of the intermediate course, those who plan of engineering search for the best college of Engineering so that they could give a proper shaper to their career. Do you think what matters the most during the selection of an engineering college? Yes, you are thinking right its “Placement”. Lots of students search for placement wise engineering college in Punjab and this practice is being done in order to get a more precise option for the career. This time is a turning point of one’s life hence everyone wants the best decision so that they spread the rest of their life in a happy and comfortable manner. Universal group of institutions understands that Engineers are the building blocks of the nation hence they strive themselves hard to provide best placement offer to an individual and this is the reason they have designed special team of placement cell who take care of jobs of all the students inside the premises. Their major job responsibilities revolve around the fact of getting top companies of the floor of the institution and prepare students in such a manner so that they could get selected in the respective organization at the maximum possible package. Lots of practices are done here like personality development session, speaking skills session, general knowledge enhancement session, pre-interview session etc. These practices give confidence to the student so that they could perform in the best way in front of the interviewer. 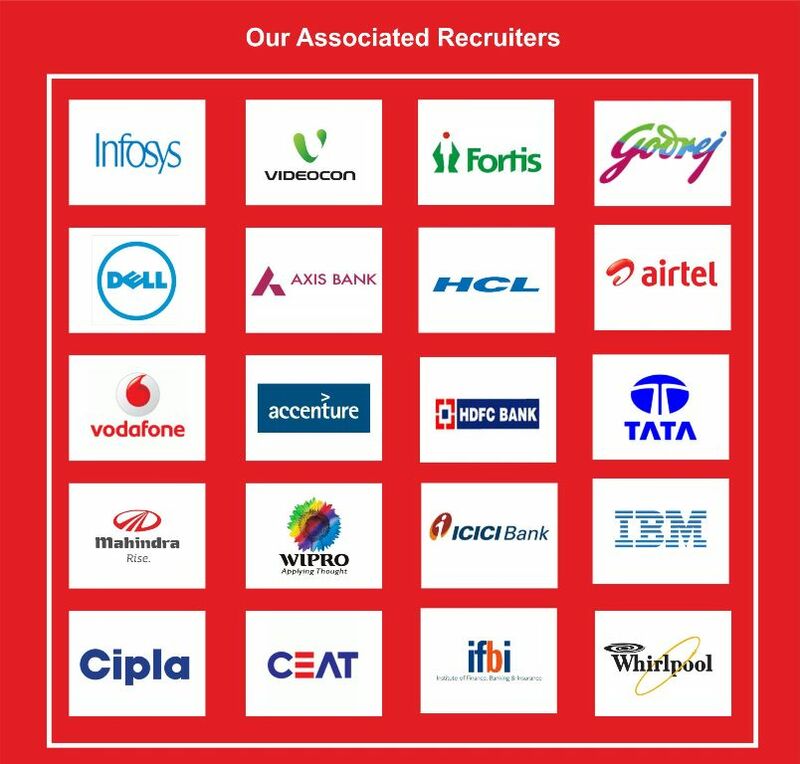 We know the challenges of jobs outside the organization hence team of placement cells works hard to place students in any company so that at least they could stand on their legs. Giant companies of the respective field come in Universal group of institution with best package offers. From the past decade, the institution has given them the best talents and practice is still on. This is the reason multinational companies provide heavy packages to the interns and hire them for their companies. Our lots of students are settled at good positions across the globe and given us the opportunity to be pronounced as best placement provider college in Punjab. Universal group of institutions understands the value of time and money. After getting admitted to UGI a student has given the remote control of his life to the institution with a trust that they will enlighten their career with new rays. To maintain their trusts and reputation of the university, the administrative department works hard in order to achieve the goal. Highly equipped practical laboratories are set up so that students could capture knowledge in a practical way. Time to time entertainment events gets organized so that exchange of mood could be done and the best output can be achieved from a student. Here, the university did not only emphasize being a great academician but they support and provide equal opportunity to enhance the skills in other sectors like dancing, music, sports etc. All facilities are available inside the premises and here one will get the best platform of being the best version of them. We are very well aware of the fact that every year institutions are producing lakhs of engineers but they are not getting the right position or place in the society and hence people make fun of engineers. We at the universal institute of technology pledged to provide maximum possible placement to the students so that they could meet everyone with head high in the society. We wish all students should have a happy and fruitful career and this inspiration has given us a position in placement wise engineering college in Punjab. The session of board examinations are going on and lots of students are in tension for their higher studies. 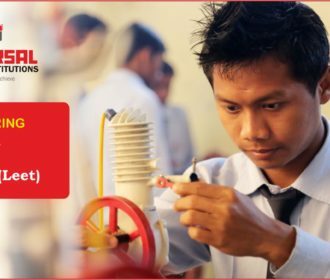 Those who are aiming to become an Engineer are still waiting to find a way and looking for the answer to the question which is roaming in their minds and that is “how to choose the right engineering college”? Their concern is very genuine because now their whole life is going to depend on this choice only. So this article is being written to solve all your queries, and with the calm mind just follow the instructions which are being provided. 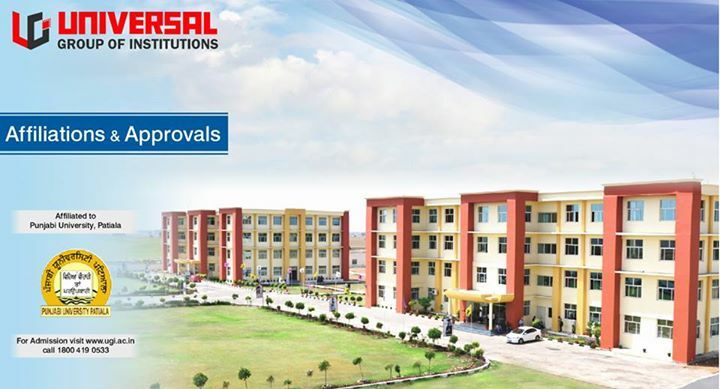 We at Universal Group of Institution ensure proper growth and development of the student by taking out their best possible outcome but one-sided this decision could not be made; we need you to be focused and share your best area of interests with us. Now let’s begin the steps for “how to choose the right engineering college”?. Before making any decision, think about the choice of your engineering stream. For example: If you are having interests in Computers and loves be the part of Information Technology then you can opt for Computer Science Engineering, or if you are want to associate yourself with the Architecture world then Civil Engineering will be the best for you. Hence in this way best on your choices, you can decide on the best-suited engineering stream. Other engineering streams are like Mechanical Engineering which deals with machines, Electrical Engineering which deals with electricity & current flow, and Electronic & communication engineering which deal with communication world of mobile. Hence based on your state of mind and area of interest you need to choose stream which suits you best. What kind of placement was provided in last sessions? Which companies had visited in the last session? What were the strengths of that particular stream in previous sessions? Hence after collecting answers, you will get a filtered list of colleges based on your selection. Sometimes, you must see any college on the top list but it may possible that they have not performed that well in your stream hence analysis based on selected stream is mandatory. Hence beware of this. Post that, list down your criteria and priorities in regards to college. Check the environment, locality, facilities etc so that you could have a sense of idea about the comfort zone of yours. Also, check out the fee structure which includes all costs like college, hostel, and transportation. Universal group of institution believes that a healthy environment and peace of mind are mandatory for study, so we guide you to check out infrastructure and compare it with your priorities. If all suited then next step can be taken. After completion of general inquiries check out the minimum score needed by the college or universities and compare with yours. Make sure you could get admission in the college of your choice hence you must fulfill the criteria of scores required. This should be in your mind from very initial stages so that by doing hard work you can achieve a good score in intermediate and get a desirable college. Nowadays engineering is one of the most demanding subjects selected by numerous students as their professional career. Therefore the number of engineering colleges has expanded quickly. But to choose the commendable institutions is the thing that matters the most. 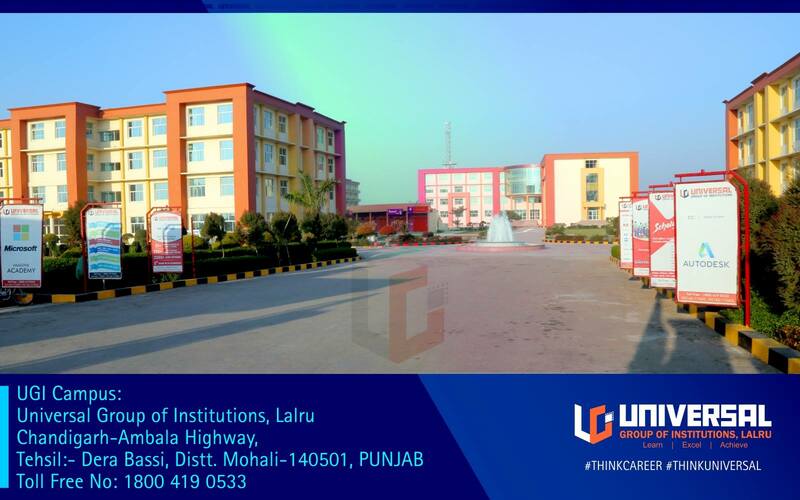 Universal Institutes of Engineering and Technology, Derabassi , Mohali is a notable and one of the top engineering College in Punjab. It is affiliated to Punjab Technical University (PTU), Jalandhar and approved by AICTE (All Indian Council of Technical Education), New Delhi. With the advancement of technology, the demand of talented engineers is also expanding quickly throughout the nation and world. With enormous development and changes, the extents of employments and interest for professional engineers have gone high. There is great scope of career in every branch of engineering. While selecting a branch, you ought to concentrate on what all you will ponder in a specific branch and pick a branch as per your interest and abilities. Universal Institute of Engineering and Technology (UIET) is built up in 2009 approved by AICTE and affiliated to I.k. Gujral Punjab Technical University, Jalandhar. 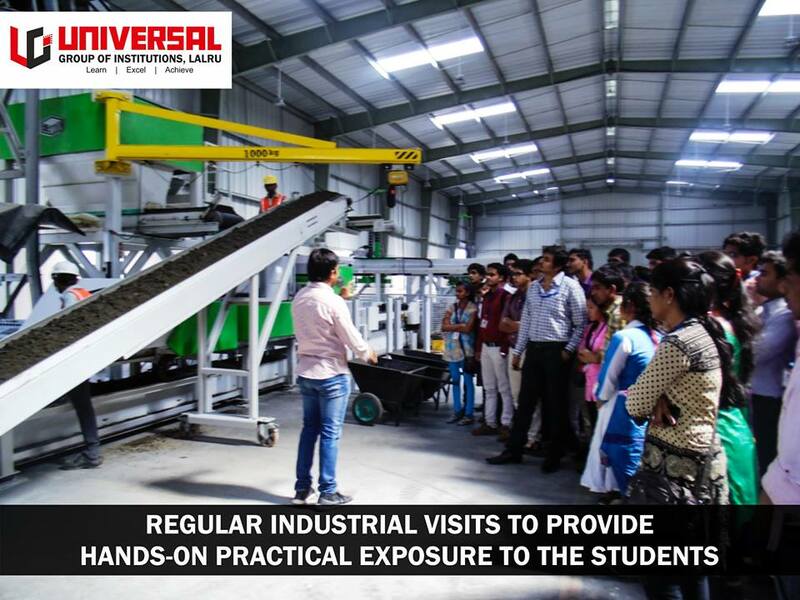 Universal Institute of Engineering and Technology is outfitted with the best facilities to confer satisfactory level of specialized skills and knowledge to prepare the students for confronting the difficulties of present day businesses and industries. With the foundation of Universal Group of Institutions, Universal Institute of Engineering and Technology got to be the one of its main constituent institutions and is currently on its approach to accomplish higher benchmarks in Engineering Education. Universal Institute of Engineering and Technology has profoundly qualified faculty and staff members, acoustically composed classrooms and well equipped & maintained laboratories which help in making learning joy. 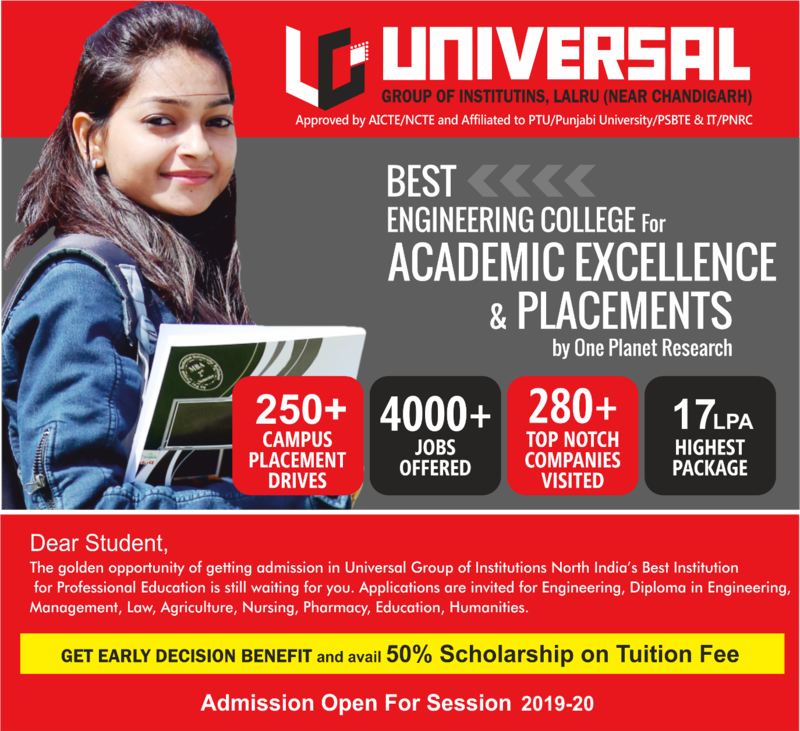 Universal Engineering College is offering B. Tech and M.tech in various disciplines: – Civil, EE, ME, CSE, ECE etc. The reputation of the Universal Engineering College, judged by the placement capability of our students and noteworthy accomplishments of illustrious alumni, by any stands, is excellent. With a recognized history of scholarly accomplishment and a yearning motivation for the future, Universal Engineering College offers you a learning background institution in a rich instructive legacy and supported by forefront exploration and innovations. 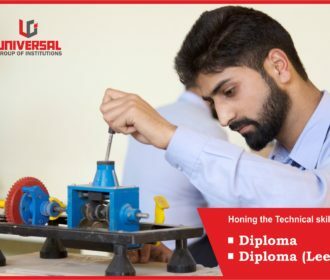 Presumed to be one of the finest institutions, Universal Engineering College offers an all encompassing arrangement of instruction that is regarded by numerous organizations looking for the finest ability. Universal Institute of Engineering and Technology centres to confer itself, for conveying the most ideal educational experience and learning chances to state the standard and to satisfy their future objective. Universal Institute of Engineering and Technology always gives priority to training, personal growth and placements, keeping these things in mind mentors at Universal Institute of Engineering and Technology have implement training and placement cell. The cell is directed by experienced professional from the Industry. The training and augmentation programs gone through whole course span. Includes Industry based modules of communication skills, personality development, aptitude, logical reasoning and foundation courses. Includes workshops and guest lectures. Organise industry specific mock test, group discussion, interviews etc. Computer Science and Engineering involved in planning, designing, management, and maintenance of both hardware and software. A computer engineer has expertise in the hypothesis of computation and design of computational frameworks. The course gives a foundation in the fundamental arithmetic of sets, computing logic, relations and grammars. Branch of Computer Science and Engineering involved providing students a diagrammatic overview of computing, concept, standards and aptitudes in the application, augmentation and practical involvement in applied computing. Special accentuation is laid on the principles of computation, computing framework design, execution and utilization. After Successfully completion of the B.Tech degree in Computer Science & Engineering program from Universal Institute Of Engineering and Technology you can have numerous opportunities. You can works as a Programmer, Web developer, Database Administrator, Network Engineer and so on. Emphasis on live projects C++, JAVA, C#, VRML, XML etc. System Software Development such as Device Drivers and Operating System. Engineering students are blessed. They are not only lucky to have attractive salary packages but they also have wide variety of engineering streams to choose like Aerospace, Health and Safety, Marine, Chemical, Civil, Computer Hardware, Electrical, Environmental, Industrial, Biomedical, Materials, Mechanical, Mining and Geological, Mining Safety, Electronics, Nuclear, Petroleum, Agricultural etc. If you want to become an Engineer you have to enlist for an Engineering Degree Programme. In India there are numerous engineering colleges and Universities which are offering Engineering courses. Some of them have online chat facilities. You may visit the website of the institutions and ask the representative in any query you have. Here is the list of some of the best engineering stream to choose in 2017. Civil Engineering is core and one of the oldest branches of Engineering. Civil Engineers are the actual person who is involved in to development modern society. They are involved into design, construction and maintenance of Dams, Roads, Bridges, Express ways, Water ways, Navigation, Irrigation, Highways, Airports etc. Mechanical Engineering is also one of the core branches of engineering and requires overwhelming metal and vigorous work. This sector is everlastingly and there is huge demand of Mechanical Engineers in the industry who is involved in substantial metal work. In India railways, metro, Automobile, Shipping industry is growing. So, there is a huge scope for Mechanical Engineers. This is the zenith of the core electrical and communication engineering. In India mode of communication is increasing day by day. Electronics and Communication Engineering deals with Electromagnetic Compatibility, Electronic Circuit Design and Testing, Embedded System Design, Image processing, Mobile Communication, PCB design, VLSI design and so on. It is one of the most demanding streams of engineering in India. Computer Science Engineering is the study of the hypothesis, experimentation and engineering that frame the reason for the design and utilization of computer. Electrical Engineering is also one of oldest branches of engineering. Electrical Engineering deals with the study of f electronics electricity and electromagnetism and its application. Electric engineers may work as Chief Electrical Engineer, Design Engineer, Distribution Engineer, Energy Transmission Engineer Power Systems Engineer and so on. 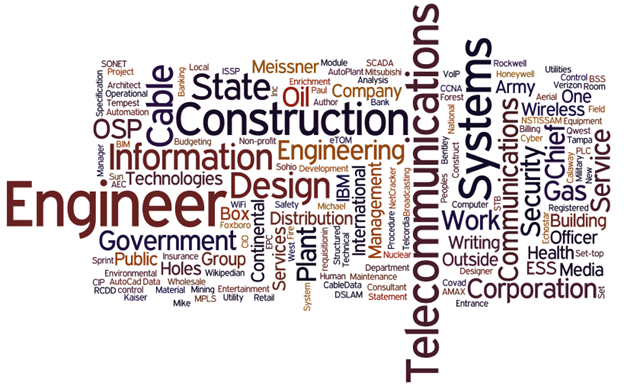 Engineering is an expansive term that covers an extensive variety of applications and businesses. Consolidating mathematics, science and technology, engineers deliver imaginative solutions for genuine issues. Therefore there are a wide range of engineering courses accessible. Previously, engineering could be isolated into four noteworthy branches: Mechanical, Chemical, Civil and Electrical, with sub branches of each teach. But right now many options are available if a student’s wants to become an engineer for example Aerospace Engineering, Biomedical Engineering, Biomechanical Engineering, Automotive Engineering, Mechatronics Engineering, Robotics engineering, Microelectronic Engineering, Environmental Engineering, Agricultural Engineering, Petroleum Engineering, Nuclear Engineering, Photonics Engineering, Ceramics Engineering etc. It is one of the oldest branches of engineering. It includes the development of framework, for example, general construction work, Railways, Roadways, buildings, Apartments, Malls, Offices, and Bridges etc. Civil Engineers may work in the both private and public sectors. This is an extremely wide engineering degree. Technology and Micro electronics have changed the life of human being. Latest mobile phone technology that fits in our pocket has a great impact on our day to day activities. Electronics and communication engineers are involved in designing and developing electronics devices. A mining Engineering degree includes study of extraction of raw material from the earth in a protected, economical, eco friendly manner. Mining Engineers are involved in mining machinery design & development, mines construction etc. It is one of the most demanding engineering courses in Punjab. This includes the study of computer science and electrical engineering. 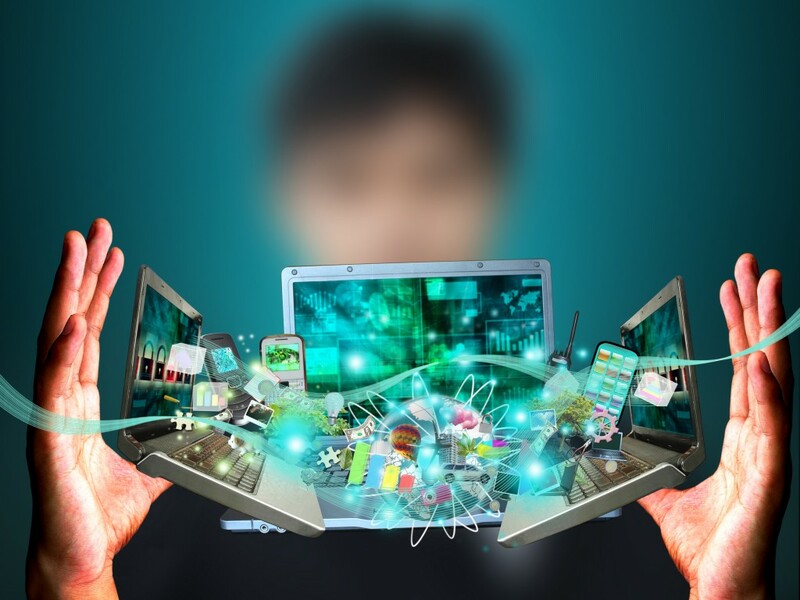 Computer science engineering can works as Telecommunications Engineer, Networking Engineer, Software Developer, Web Developer, Cyber security Engineer, Cloud Computing Engineer etc. There is a huge requirement of Industrial Engineers in manufacturing industries. Industrial Engineers involved in increase of productivity, reduce waste and cost. Numerous new companies will hire Industrial engineers to help make their business more productive. There is a huge list of engineering courses offered by the Punjab Engineering Colleges. We will discuss it in the next post. If you have studied 10+2 Non-Medical then Engineering would be the oblivious choice of career that would have been in your mind while you had chosen your subjects after 10th (Matric). Engineering is considered to be branch of science & technology where you as student tend to undergo learning to apply the laws of Physics, Chemistry and Mathematics that you must have studied during your 10+2 class. Engineering has always been the most preferred career option among the students but there has been a constant changes in choice of streams according to the changing job scenario. If you have the zeal to work or develop new technologies, then engineering is the right career for you. The stream of engineering as a career takes you through the in-sight of the process which is required to be followed for developing a new technology or product. As an engineering student, you will undergo training in all the aspects of Product Design which includes understanding the future needs, planning, designing, implementation, testing and marketing. If you have decided to be an engineer then choosing the right stream is the most crucial decision that you will be taking. You are advised to choose the stream which interests you and the popular one. The popular streams among the students are Computer Science, Mechanical, Civil and Electronics and Communication. But with the increasing demand of the specialized engineers, some institutions and universities have designed specialized programs with blend of subjects from the traditional or core areas. Some of the specialized engineering programs that have gained popularity among the students include Automobile Engineering, Petroleum Engineering, Aeronautical Engineering, Information Technology and Mechatronics. Irrespective of the stream you choose, the subjects taught in first year are common. You will study subjects which include Applied Physics, Chemistry, Applied Mathematics and in-order to introduce you with all the different fields of engineering, you will undergo learning one subject each from different streams of Engineering. Like Fundamentals of Programming from Computer Science, Elements of Mechanical Engineering, Engineering Drawing, Elements of Electrical Engineering. The best and simple criteria to choose stream in engineering is based upon your liking of core subjects that you have studied in 10+2 that is PCM (Physics Chemistry and Mathematics). If you have zeal to study Physics, then Electronics and Communication, Electrical Engineering are the streams you should go for. But if you have strong knowledge about the combination of Physics and Mathematics, then the branch of Civil and Mechanical Engineering is what you should opt for. For only Mathematics then Computer Science is the stream while liking for Chemical Engineering is the stream if you have strong understanding of Chemistry subject. You will study more subjects combination depending upon the stream you choose. For example As a Computer Science Engineering student, you will study more Mathematics subjects than any other engineering stream. 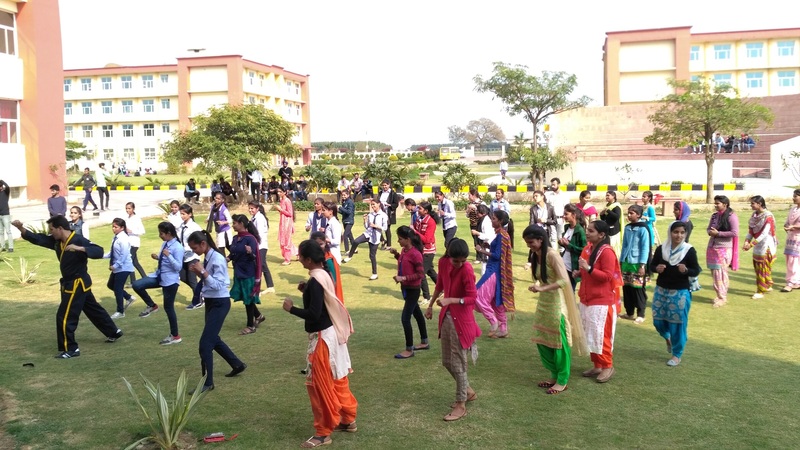 A “Technical Workshop” for the students of Computer Science Engineering of Universal Institute of Engineering & Technology, Lalru, Mohali was organized within the college campus. The objective of this Technical Workshop was to impart knowledge of Hardware & Networking among the students. The theme was “Hardware & Networking Training”. Er. Sachin demonstrate the student about the operation of networking devices and how to secure a network. The workshop was an informative session. Wherein the basic components of hardware and networking were demonstrated and then the components were exhibited to the students to have a look and feel of it with a greater understanding of each. These lessons on components of computer hardware became more interesting with every component held at hand. There was a live installation process of windows 7 which benefited the students with the basic knowledge on booting the system. Er. Sachin also demonstrated the assembling of the CPU with all its components. He briefed on the process of detecting virus and deletes them using the task manager . He also elaborated the features of the various kinds of CPU and RAM. The students learn to install a new operating system and to assemble the CPU. The workshop ended with an open session where students clarified on various aspects of computer hardware and networking. In this way students gain immense knowledge on networks .In the end we would like to thanks worthy Chairman, Director Academics, Principal and all the dignitaries for becoming the part of workshop. Computer Science Engineering department with the spirit of celebrating womanhood commemorated International Women’s Day. The day was celebrated by organizing a seminar on theme for this year: “Be bold for change”. The occasion was graced by Master Bikram S. Thapa who is 6th degree blackbelt. He enlightened the students on the importance of martial arts in our day to day life. 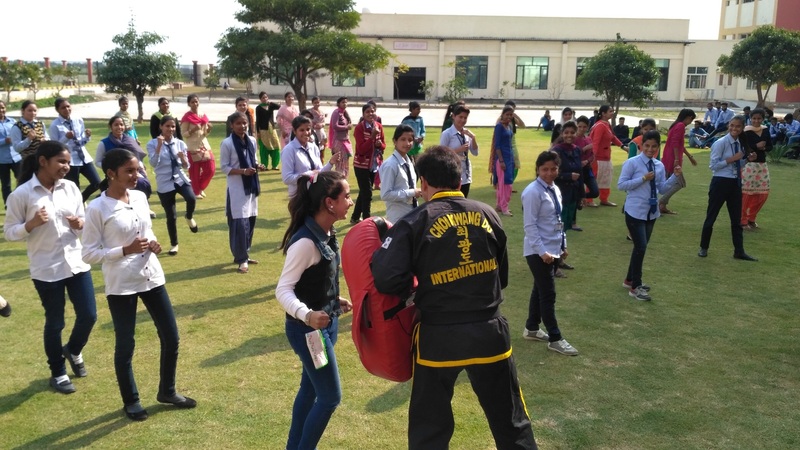 He motivated the students, especially girls to learn self defense. The seminar was followed by a workshop on self defense. The students learned some basic skills of kick boxing, Karate and Taekwondo. 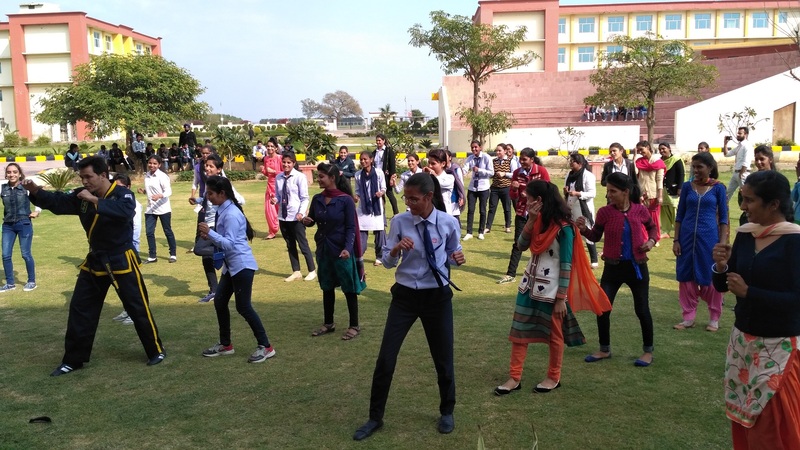 At the end of the program, Ms. Prabhjot Kaur Jolly, Director Academics and Dr. Swati Sharma, Principal UIET honored the guest and thanked him for teaching self defense skills to students. Dr. Gurpreet Singh, Chairman, Universal Group of Institutions who has always been torch bearer in women empowerment also appreciated the efforts put in by the faculty in organizing such workshop for students.